Gary Cooper Style - Doug Grad Literary Agency, Inc.
“Dressed up like a million dollar trouper. But it wasn’t just clothes that fascinated Coop—it was everything, such as cars (his famous Duesenberg, and less well-known Jaguars, Mercedes, and yes, Plymouth! ), and architecture (he designed a Caribbean villa as well as a stunningly modern house). 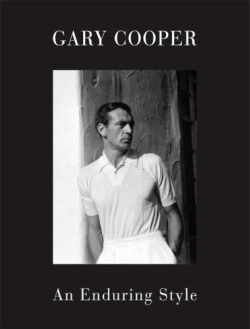 Born on a ranch in Montana in 1901, attending private school in England, moving to Hollywood in his twenties and traveling the world as a movie star, Cooper’s unique background allowed him to acquire and synthesize the knowledge of the best tailors, clothiers, weavers, dyers, etc. He wasn’t just a handsome guy, a mannequin others draped in finely tailored menswear. He educated himself about clothes, from the first stitch to the last. He also picked up the tricks of local architecture and visited the factories turning out the fastest automobiles with a ceaseless quest for knowledge. Fun, fascinating, loaded with wonderful photos and with the sharp insight of Boyer and loving reminiscences of Janis, Gary Cooper: An Enduring Style will be the book for any man who wishes to create his own look.